Program 301 | Wisdom of the Elders, Inc. Welcome to Wisdom of the Elders. I’m Arlie Neskahi. It was mid-August. Summer clouds tore at the peaks of the Beaverhead Mountains. The Lemhi were spread out in the pass below, gathering roots, hunting and fishing. They were preparing for their annual buffalo-hunt on the plains. 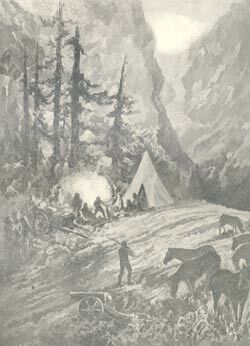 A lone warrior caused a minor commotion when he returned to camp claiming he had seen four men as pale as ashes walking up the pass. No one believed him. They had never seen a white man. 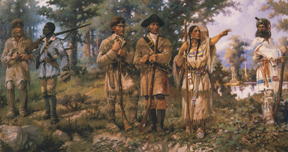 Sacajawea stands out as the most prominent of the Lemhi Shoshone, yet some Shoshone question her role in the expedition. It helped facilitate westward expansion, eventually affecting her tribe’s homeland and traditions. The forced relocation of the Lemhis to Fort Hall, Idaho in the early 1900’s is also a painful chapter for many tribal members, who still long to return to their ancestral homeland in Salmon, Idaho. In today’s Elder Wisdom, Brian Bull explores the determination of the Lemhi people to hold on to their cultural identity. Welcome back to Wisdom of the Elders. Halito! 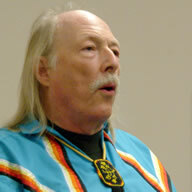 I’m Don Addision and this is speaking native. 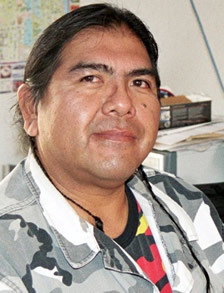 Our featured tribe today speaks Shoshone, part of a very large language family called Uto-Aztecan. It spans a huge portion of the American West from the Oregon basin into Mexico. Few women in American history have achieved the mythic status of Sacajawea. Her role in the Lewis and Clark Expedition sparked the imaginations of all who would read of her exploits in the popular journals. 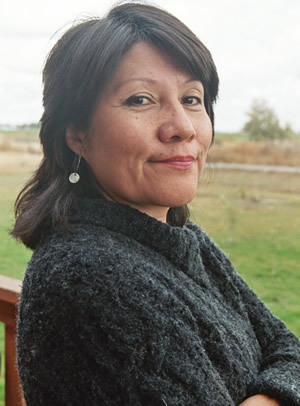 While mystery still surrounds accounts of her life after Lewis and Clark returned home, Sacajawea serves as a larger-than-life inspiration to young women everywhere. 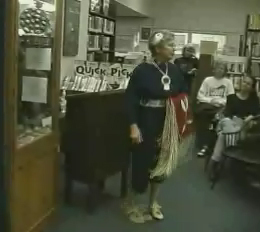 Judy Bluehorse Skelton shares her perspective on the legend and the woman. More than a century ago, in isolated places in the west, groups of Native men, women and children would gather in secret to sing and dance and pray. A note of fear, pain and suffering would pervade the atmosphere. The people’s lives had been turned upside down. Disease had killed many of them. And the rest expected to be killed by the U.S. Military. They asked the creator to spare them, return the buffalo herds in abundance, and magically resurrect all their dead ancestors. One in seven Native Americans suffer from type II diabetes. Diabetes is an inability of the body to process insulin, a hormone that allows blood sugars to enter the cells and be used for energy. The disease leads to kidney failure, blindness, amputations and death. Although there is no cure, the good news is: diabetes can be controlled. In today’s Health and Healing, Rose High Bear introduces us to a person who has met the challenge of diabetes and shares his experiences. Since time immemorial, Native people have maintained a healthy lifestyle by gathering and using their traditional foods. Today’s epidemic of diabetes in Native peoples has resulted in part from a change from this traditional diet to one based on processed foods, sugars and fats.